Saginaw dentist offers amazing discount club! Let’s say you don’t have dental insurance but you’re still interested in top notch preventive dental care. Preventive services like cleanings, exams, fluoride treatments and x-rays are one of the most cost effective ways to catch dental problems when they’re small. You know this and you want to stay on top of things. One advantage of having dental insurance benefits is that most preventive services are either paid for or heavily discounted. Dental benefit plans are willing pay for these types of preventive services because, in theory, it will reduce the amount of other treatment you might need. Here at Mead Family Dental, we want everyone to have the incentive to come in for regular preventive care. So for those without dental benefits, we offer the Mead Family Dental Gold club! For a yearly fee you get all of your exams, cleanings* and x-rays. Along with that you receive a 20% discount on any other dentistry that you choose to have done. 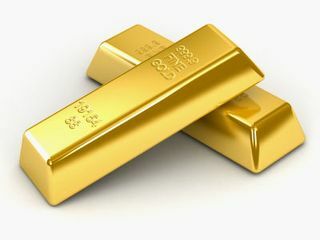 Make sure you check out www.meadfamilydentalgoldclub.com for all of the specific details. Also remember, the more family members you add, the greater the value! We’ve had a LOT of people joining “the club!” Most of them are finding that it’s way less out of pocket expense to join the Gold Club, especially if they were planning to have preventive care anyhow! If you have any questions about our Gold Club I’d love to answer them! Email me at alan@meadfamilydental.com. I answer all of my own email and I’m pretty quick about it, if I do say so myself! We’d love to be your Saginaw dental office!